Well I hope that you haven't grown sick of all of my faux leather projects, because I have another one for you. I am pretty sure that the fabric ladies at my local home decor fabric store are sick of cutting quarter yard pieces of this stuff (in every available color), so if you have grown tired, you're not alone. I actually have a real leather project lined up for next week...so be excited. I spent yesterday with my sweet sister in law. We made ourselves some lovely little floral headbands with one of my favorite materials. I'm sure you recognize it from these booties, this belt, and this table runner. It is just such a versatile material. 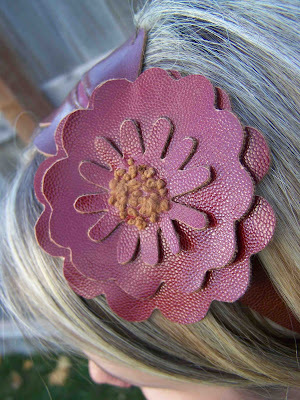 I think that the red and brown combination create a nice color combination for autumn. This red flower was my first attempt, and is probably my favorite overall. 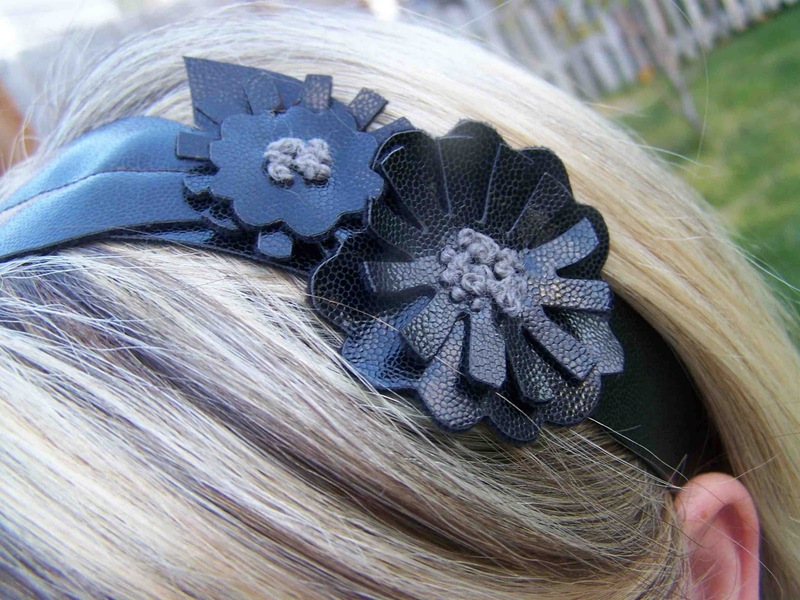 I had to make a black headband, and I love the gray centers to these two smaller flowers. This last one is a slight variation on the first. I like that it is a bit smaller. I feel like the larger flower is a bit overwhelming on me (but perfect on my great model). Jess made several cute headbands of her own. 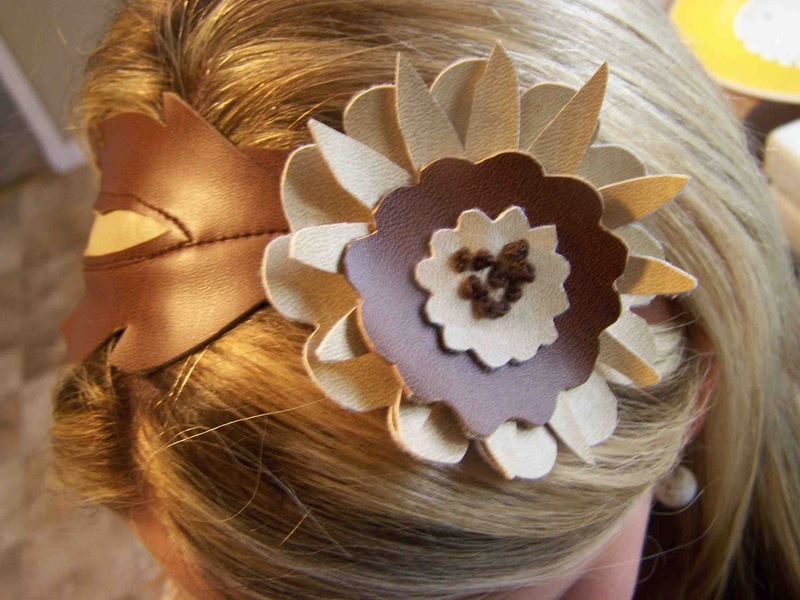 She tried out a brown and cream combination that I am really liking. Thanks so much Jess for spending the day with me, and for being my model. I'll be linking up here. I'll be back tomorrow with the Halloween costume reveal! 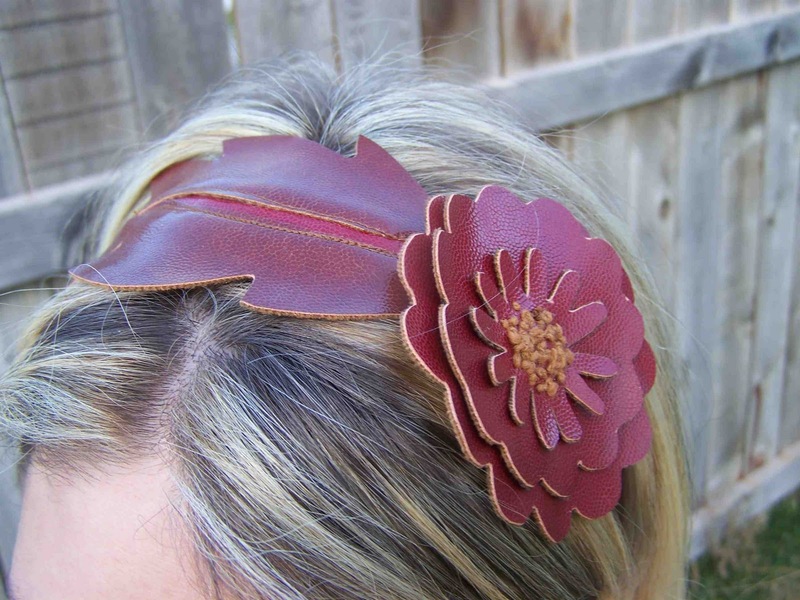 super cute headbands. I did a few bow style ones for my daughter but nothing as fancy as those! 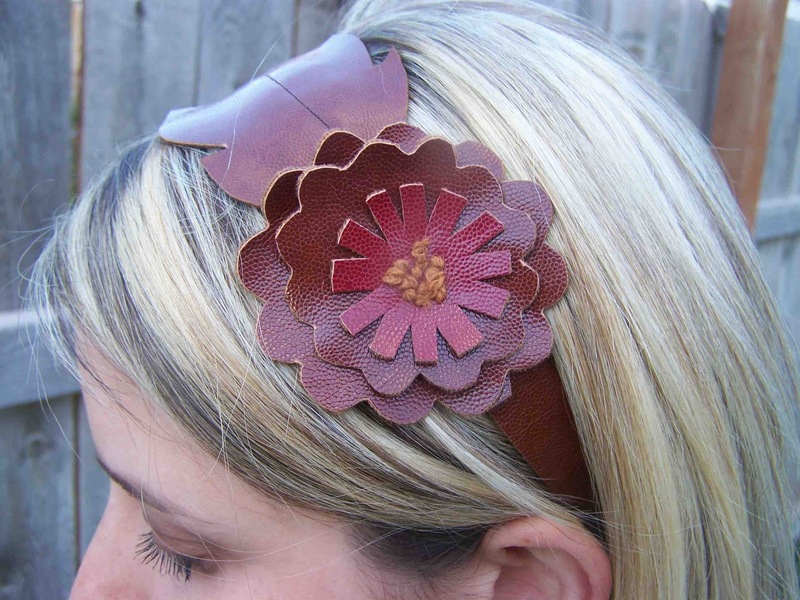 I adore the leaf detail on the headband. So cute and such a perfect detail to add. I think I'll be hitting up the fabric store for my own 1/4 yard cuts of faux leather... Did you start with a premade headband or did you make that part too? So so cute! 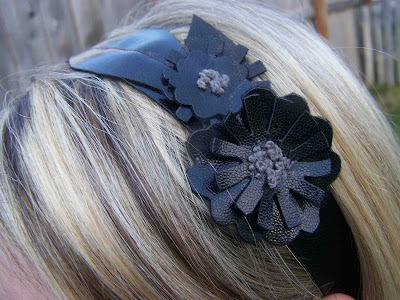 I have fallen in love with headbands as well! That is darling!!! Wow! Visiting from Train to Crazy. Love these! So cute! those headbands rock Tricia! I love the flowers and french knots are just about my favourite embroidery stitch ever. So pretty! I had SOOOO much fun as well! I love living close! Nice! Hi, I gave you an One Lovely Blog Award. Do come to my blog to take the Award Button. beautiful! no such thing as too much faux leather... bring it on girl! I love the first one. I have two old purses I was saving for the ruffles and stuff headband, but luckily they are huge purses and these are definately going on the list! I would love if you would like these up for a chance to win my Get Organized Giveaway!